People have been relocated out of tiger reserves since 1973. Bandipur, Kanha and Bhadra tiger reserves are some of the success stories (‘Relocate sensibly’ and ‘It can be painless’, August16-31, 2010). But in the past years incidences of tiger poaching have increased, pressuring the reserves to keep a day-and-night vigil on poachers. The reserve managers have to, therefore, think of the total relocation costs. The authorities do not realise these small tribal settlements can act as anti-poaching camps. The villagers can help the staff tackle poaching, smuggling and forest fires. In the absence of tribal settlements, the reserves will become vulnerable to poaching during festivals when most of the forest staff is on leave. We should, therefore, allow tribal settlements inside the reserves and stop relocating. Agricultural subsidies are a norm in Western countries as the editorial ‘From where our food comes’ (August 16-31, 2010) indicates. It is also available in India to a certain extent. But subsidies are not a solution to production deficit. Production needs to be supported by laws and implementing structure at provincial, national and international levels. Why can’t we have an international body of producers with various departments under it, just like the World Trade Organization? At present, subsidies put the producers at the mercy of the corrupt governments that collude with the traders to make money. With the continuous use of chemical fertilizers in the past five decades, soil fertility has exhausted. More often than not the soil is supplemented with cow dung as organic manure. This is not enough. We need to adopt innovative strategies. One of these could be utilising human faeces and urine that have 10 times more value than cow dung as a bio-fertilizer. 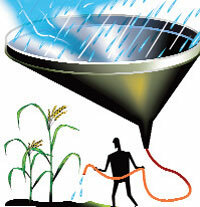 By-products of bio-fertilizer can also be used: biogas and effluent for irrigation. Technology is available. It is being exported but we are unable to manage it in India. We at MEINHARDT have done experiments to refine the technology, but more needs to be done for its large-scale use. We Indians are spineless people. Our politicians formulate anti-people policies to satisfy the market forces, yet we do not talk about it. Ever since Independence we have been throwing people from their land in the name of development. It is time to revisit our villages where a majority of our country lives. Unless we conserve our resources and protect the environment from pollution and market forces, our future is dark. We need farsighted leaders who understand the country’s potential and needs. Farmers are like God. They provide us with food. We should respect them by sharing latest knowledge and infrastructure related to agriculture. Otherwise be prepared to spend more on imported food. Apropos the cover story ‘Ground reality’ (July 16-31, 2010), in Andhra Pradesh we have evolved a water management strategy using geological mapping. Groundwater mapping has been done of more than 1,100 assessment units, covering the entire state. Separate strategies have been evolved for rainfed areas, tank command and major irrigation command areas. Our emphasis is to empower people to use the groundwater technology. True, we do not understand monsoon completely, let alone predict it (‘What monsoon means’, July 16-31, 2010). 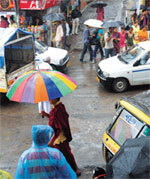 India’s geographic location plays a major role in the arrival of monsoon. It is part of the global circulation system and has links with Pacific temperatures and the Eureasian snow cover. This makes it impossible to understand its vagaries looking at data from India alone. For Indians, monsoon means the rainfall which results from convective clouds. Despite their importance, we have very little information on the physics of clouds. Though several monsoon experiments have been conducted, none has addressed the nature of cloud condensation nuclei and the process of droplets growing to form rain drops. India needs to conduct a vigorous programme on cloud physics. Monsoon is almost over but the Uttar Pradesh forest department is yet to wake up. Not a single sapling has been planted on any of the highways. A lot of green cover deficit is to be covered as thousands of trees were felled in the name of development throughout the state. The verdict on the Bhopal gas tragedy is shocking to say the least (‘25 years too late’, July 1-15, 2010). But then should we be surprised? The Indian judicial system is an utter failure. The same system has not been able to punish a lone terrorist responsible for the Mumbai terror attack in 2008. It has failed to provide justice (a proper relief and rehabilitation package) to the victims of Jharia coalfields in Jharkhand. A stringent punishment in the Bhopal case would have been ideal to tell the foreign and Indian corporates that they cannot get away by putting public health and the environment in danger. Sheopur is a district in Chambal division of Madhya Pradesh. The so-called tribals inhibit 40 per cent of the district, a large area of which is under forest cover. The timber mafia and people who use the forest wood as fuel, threaten this forest cover. But the cause of concern is the children who are being sent to sell wood by parents instead of attending schools. The editor has rightly touched on Achilles’ heel in the editorial ‘See the light’ (August 1-15, 2010) pertaining to the country’s energy requirement. Coming from rural India, I can say little has been done by the governments in the rural sector despite the scope. The non-conventional energy p r o g r a m m e s should be prioritised in rural and farm sectors where sources are in abundance but are going waste. 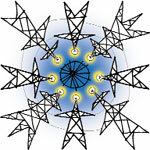 The non-conventional energy protagonists serve in cities to hog media spotlight. Transportation of farm inputs and the produce within farms and for short distances is now being done through diesel-run tractors. An alternative source could be used. We are a group of organic farmers. Some of our young role models were successful and started earning from this ignored sector. One example is Rajaram Tripathi who quit his bank job and started herbal farming in Bastar, Chhattisgarh. He organised the tribals, engaged them in herbal farming and started exporting, bypassing middlemen. He was able to convince the banks to give loan for herbal farming, which he repaid quickly. In came the income tax department asking for money, which he refused. Thus began his struggle in 2002-03. His bank accounts were frozen and his agricultural land seized. Banks too refused to give any more loan for farming. The market abandoned him too. For seven years he fought the income tax department. It cost him time and money. He submitted innumerable documents to prove his innocence. Finally, the income tax department absolved him of all charges. Rajaram won the case, but at what cost? We at Pearl Court, Essel towers in Gurgaon, are using generators for standby power in residential buildings. They pollute the atmosphere and cost much more per unit than grid power. How much would a unit of low sulphur diesel generator power cost and how many power units will it generate per litre of diesel? Is there a formula for calculating this that you can share with resident welfare associations?